Thank you Michael Jordan for giving me the joy of basketball. You gave basketball a new meaning. You inspired millions by showing your passion and dedication to be the very best. You were and are the epitome of inspiration when it came to the basketball court and by what you were able to accomplish. We all endure hardship throughout our life in order to achieve our dreams. I get discouraged by failure, like most. It challenges who I am and what I can accomplish. During challenging times I reflect on my personal heroes and what they were able to accomplish. I look at some of the greatest athletes and what they had to endure. I look at what gave them inspiration. 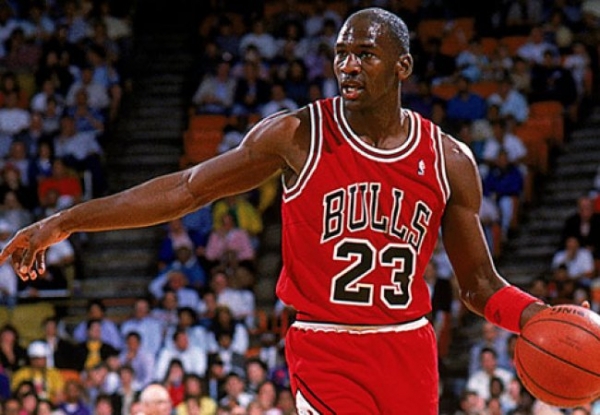 Michael Jordan overcame many challenges before earning his 6 championship rings and 5 MVP trophys. I find inspiration in what he was able to accomplish. He was able to overcome the Flu game in the 1997 Finals. He had to beat the Detroit Pistons to finally make it to the Finals. He made the most clutch shot in NBA history to win his 6th championship ring. His ability to rise above the challenge proves that anyone can accomplish anything. Anyone can be the greatest. Jordan found ways to be great, to be an inspiration. Now he inspires me to be the greatest in whatever I do.